Wonsu is a very high military rank of the armed forces of the Republic of Korea and of the Democratic People's Republic of Korea. Wonsu is a rank in the Korean People's Army of North Korea, equivalent to marshal in other armies.This rank is held by all Great Leaders of DPRK. While he was the Supreme Commander of the Korean People's Army, Kim Il Sung became North Korea's first marshal during the Korean War by the decision of the Supreme People's Assembly, the unicameral parliament of North Korea, on February 4, 1953. Period photographic evidence demonstrates that the early marshal shoulder board rank insignia was the same as that of the current vice marshal shoulder boards (a large star overlain with the Democratic People's Republic of Korea coat-of-arms). The rank of vice marshal (chasu) is unique to the North Korean ranking system. Vice marshal was first conferred in February 1953 on Choe Yong Gon. Sources suggest that the shoulder board rank insignia for marshal and vice marshal then became a single large star without the state coat-of-arms (for marshals) and the state coat-of-arms without a star (for vice marshals). By the time the next conferral of rank to vice marshal was awarded (1985), the shoulder board rank insignia for marshal and vice marshal had taken on their current design. The next change in the DPRK marshal ranks took place in 1992 when the rank of dae wonsu or grand marshal (full title grand marshal of the Democratic People's Republic of Korea) was created for Kim Il Sung. At this time the rank of marshal was divided into two ranks: the rank of marshal with the title "marshal of the Democratic People's Republic of Korea" was conferred upon Kim Il Sung's son Kim Jong-il, and the same rank but with the title "marshal of the Korean People's Army" was conferred upon O Jin U. In 1995, two other military officers were conferred the rank of marshal with the title "marshals of the Korean People's Army", i.e. Choe Kwang and Ri Ul Sol. 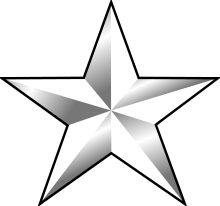 Insignia of rank of the two grades of marshal are different (with the insignia for marshal of the Democratic People's Republic of Korea being more like that of grand marshal—the grand marshal insignia has a larger wreath encompassing the marshal's star—but is smaller as it is below the star itself). Also, in 1992 eight other generals were promoted to vice marshal at which time in North Korea there was one grand marshal, one marshal of the Democratic People's Republic of Korea, one marshal of the Korean People's Army and eight vice marshals. The rank (as marshal of the DPRK) was bestowed to Kim Jong-un in 2012. On April 15, 2016, Kim Yong-chun and Hyon Chol-hae were promoted to the rank of Marshal of the Korean People's Army, the first promotions of active duty officers after 21 years. Wonsu, known in English as "General of the Army of the Republic of Korea" or "Admiral of the Fleet of the Republic of Korea", is the highest military rank of the Republic of Korea (ROK) armed forces and is the combined equivalent of a field marshal, fleet admiral and marshal of the Air Force in other nations. The rank is senior to that of daejang. Wonsu only exists on paper, and has never been held by an officer of the South Korean Armed Forces. According to the Armed Forces Personnel Act of National Defense Law of the Republic of Korea, the wonsu is appointed from the daejang who has distinguished achievements. The South Korean rank insignia for wonsu is heavily influenced by United States military insignia, in that a five-star pentagon design is used very similar to the U.S. rank of general of the army for Army and Air Force officers deserving to be given the rank. While the rank insignia for the Navy remains the same the sleeve insignia for a naval officer promoted to the rank is the same sleeve insignia of Fleet admiral used in the United States Navy. Coincidentally, wonsu is also a word meaning "mortal enemy" (怨讐). The two words have different etymologies and hanja, but in South Korea are homophonous and so are written identically in hangul. In North Korea, the government has addressed the issue by changing the word for "enemy" to "wonssu" (원쑤). ↑ Chung-in Moon, Understanding regime dynamics in North KoreaInternational Political Science Association. World Congress - 1998 Page 105 "Kim Jong Il.. ... which places him at the top of the party hierarchy, he holds the titles of the chairman of the National Defense Commission and the supreme commander of the Korean People's Army (KPA). He is, moreover, one of the two marshals (wonsu) in the DPRK, the other being Li Ul Sol who heads the KPA unit that guards top officials (honvi ch'ongguk)."